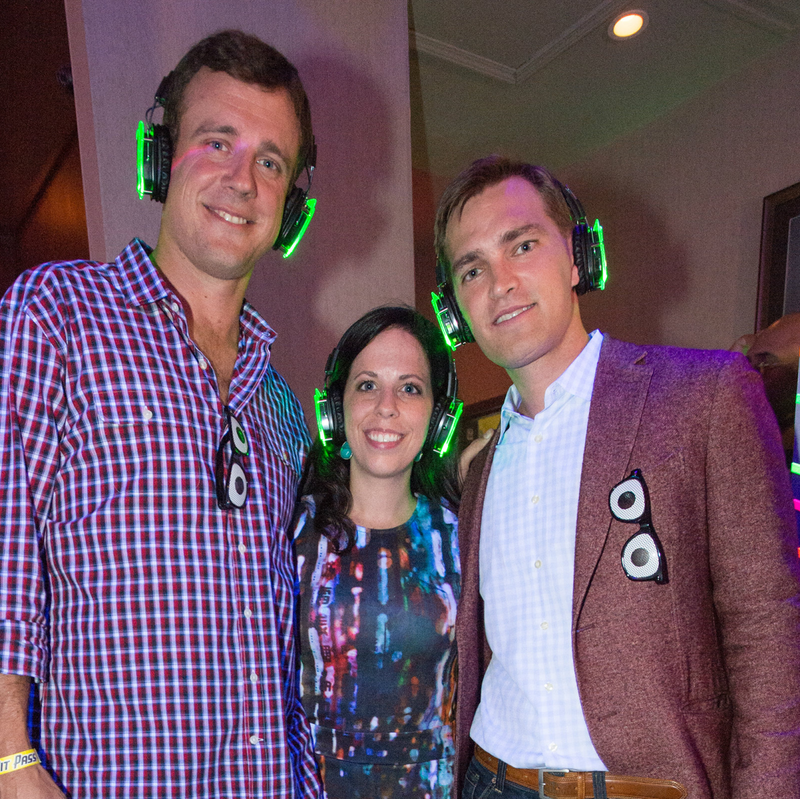 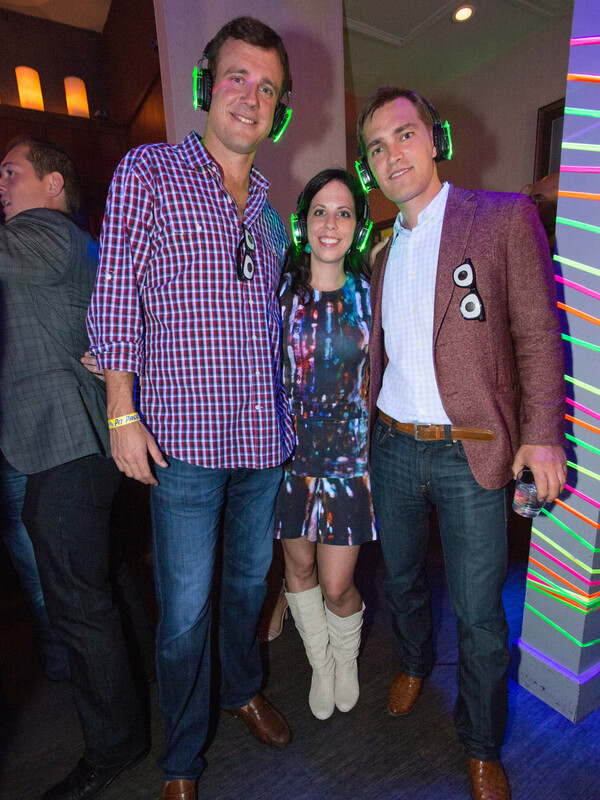 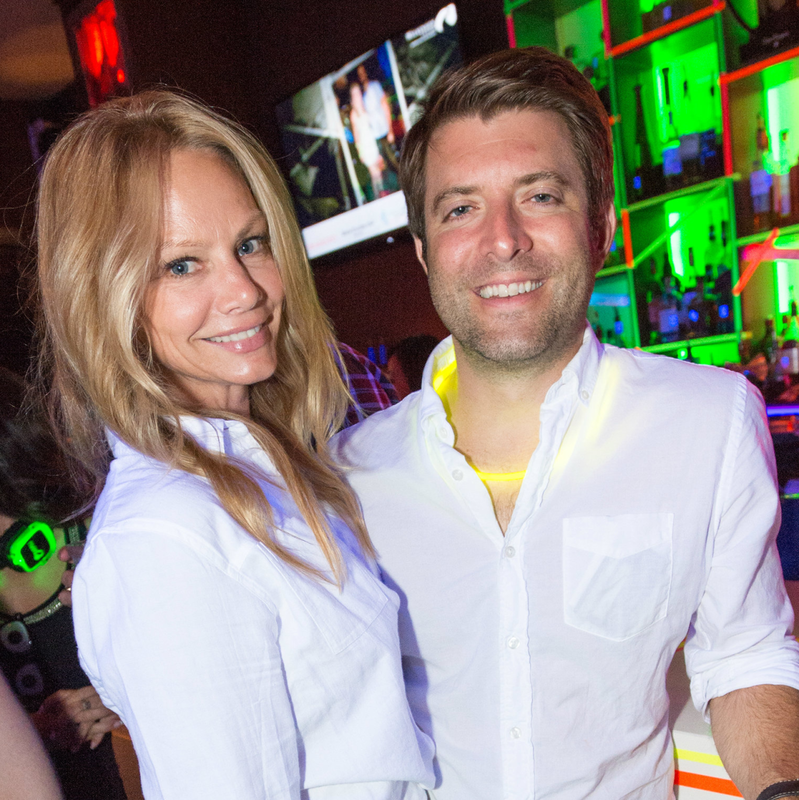 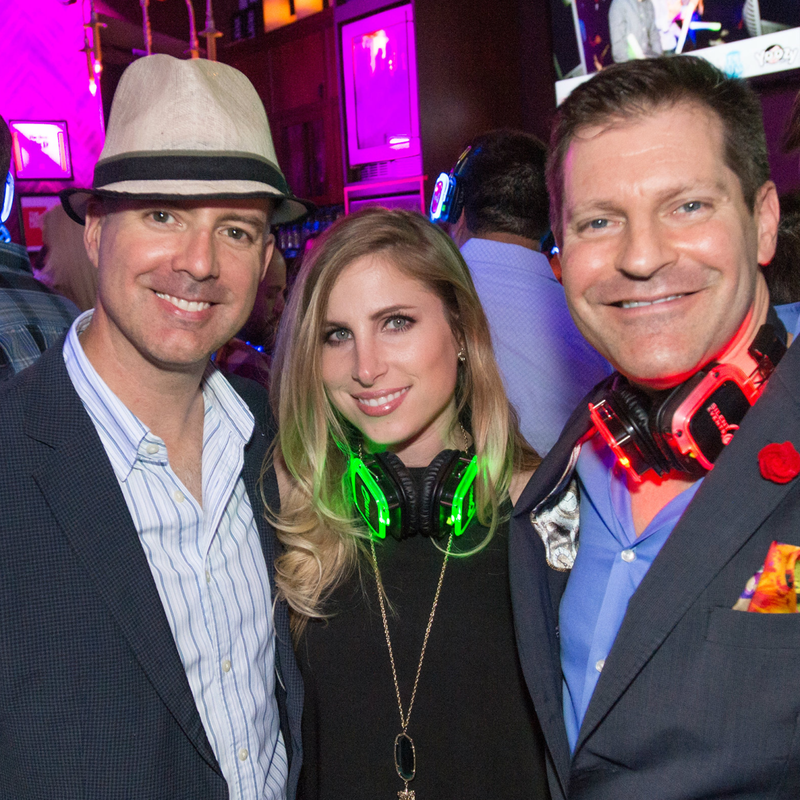 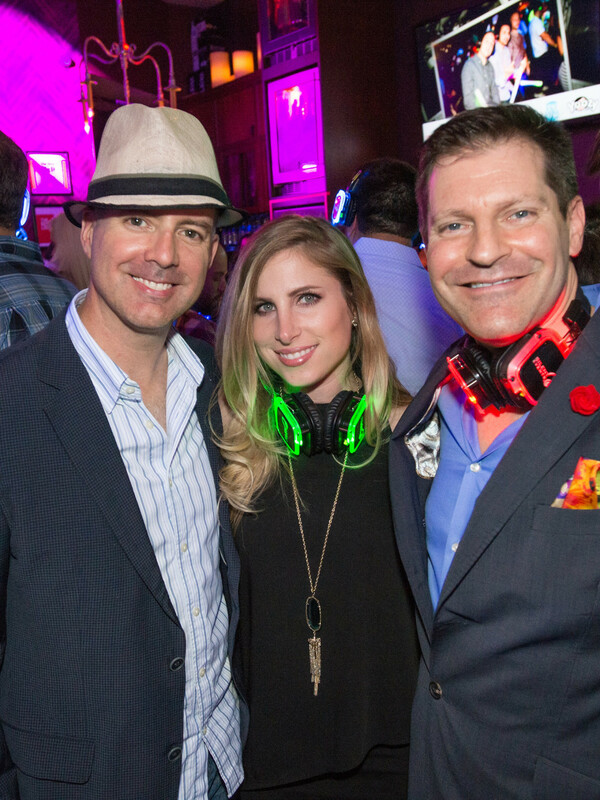 When glamorous guests rolled up to Candleroom last Friday, they were greeted by a silent shuffle caused by Young Friends of Wilkinson Center's second annual Silent Disco. 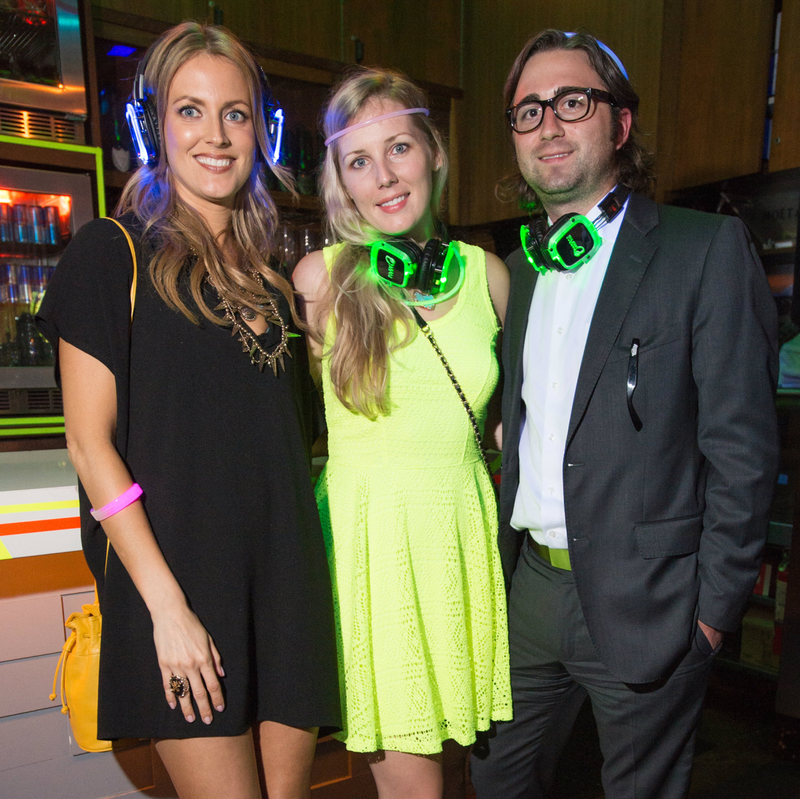 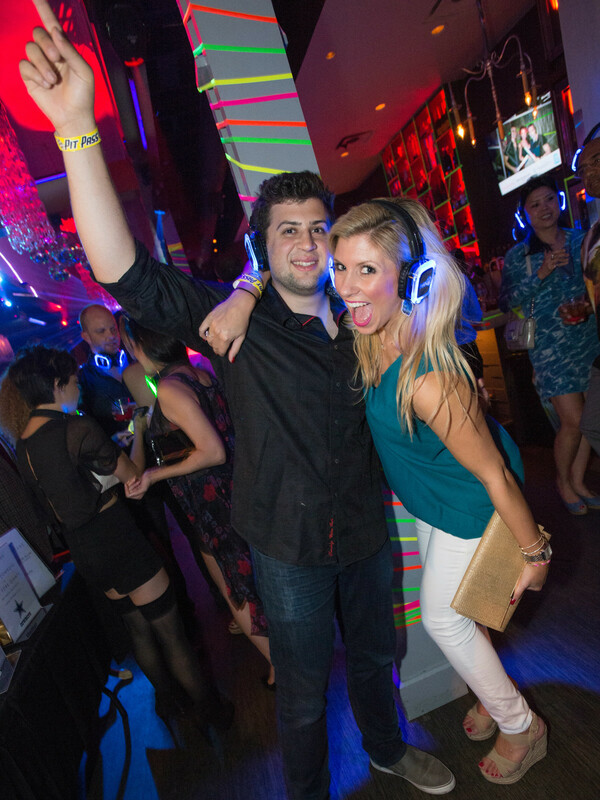 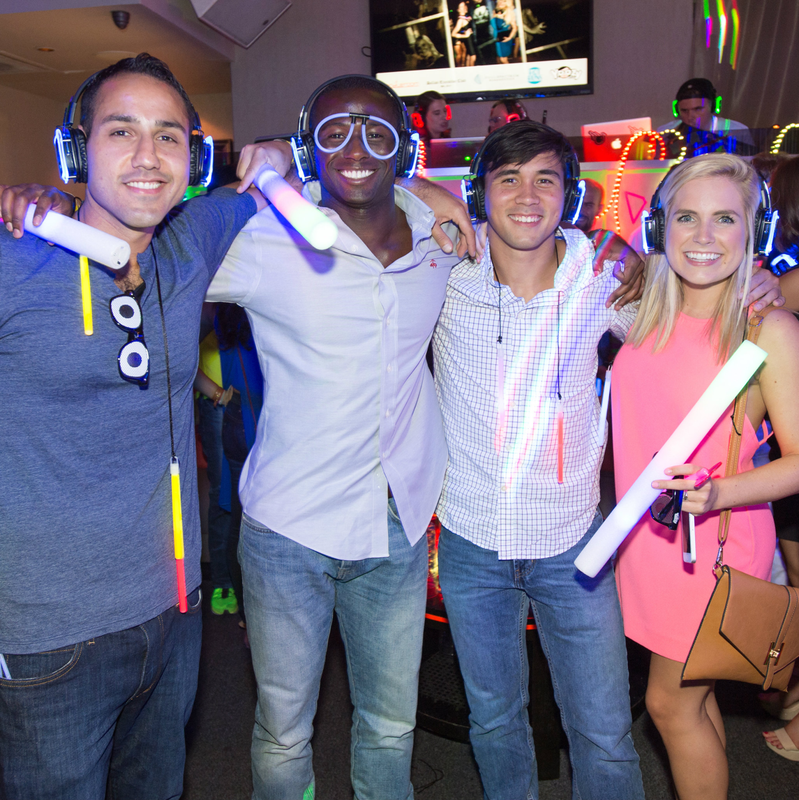 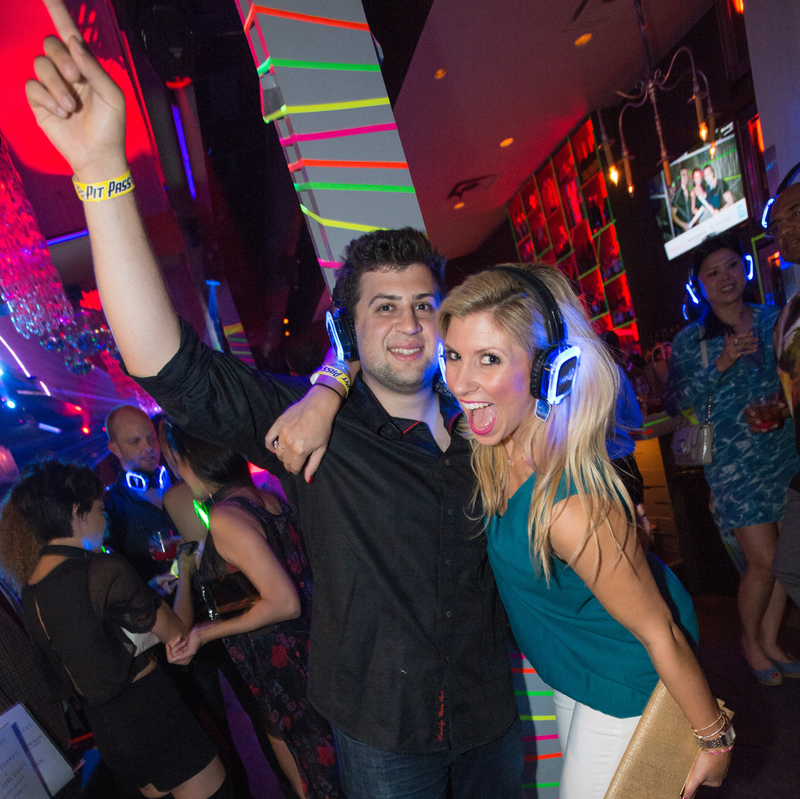 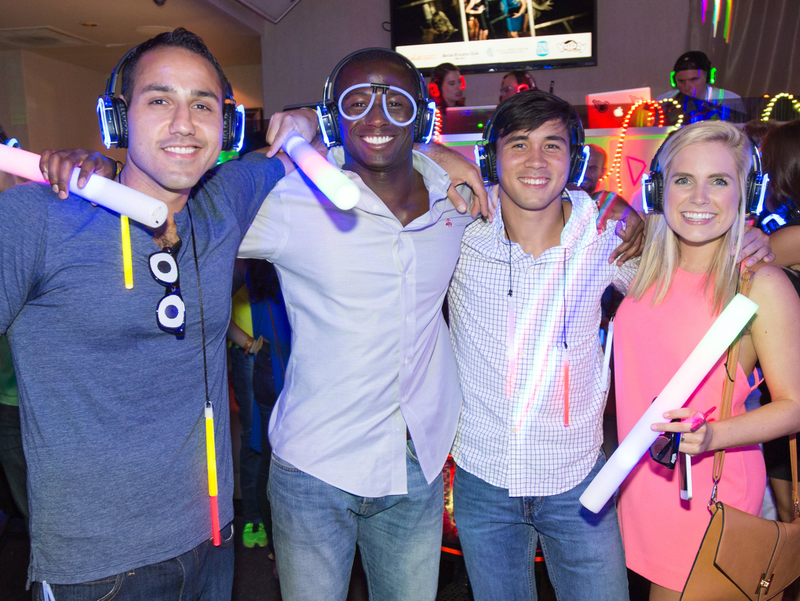 Once inside, partygoers grabbed a set of headphones with three frequencies that corresponded with a color and a DJ. 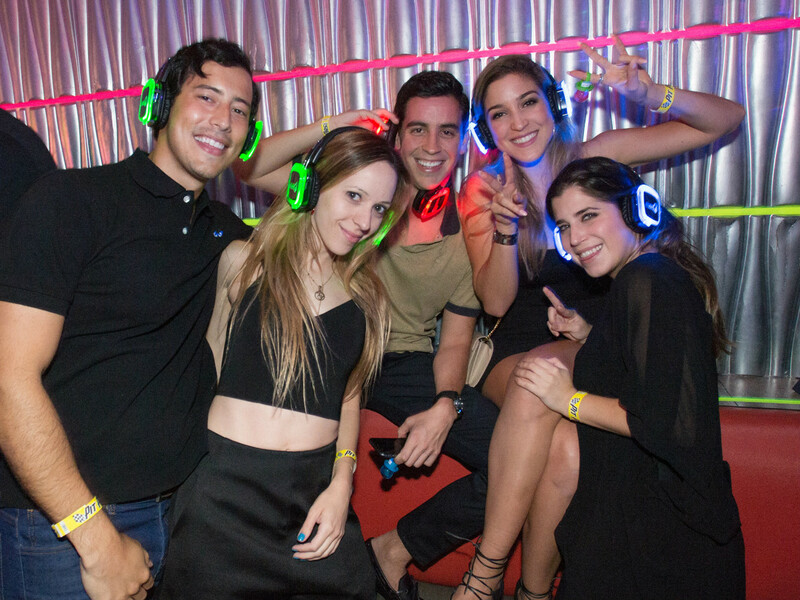 The six DJs played in two sets of three with Bryan Turner, Eric Bodiwala, and Shawn Prestidge getting the party started, and Luis Sanchez, DJ Feezy, and Brady Urrunaga closing it down. 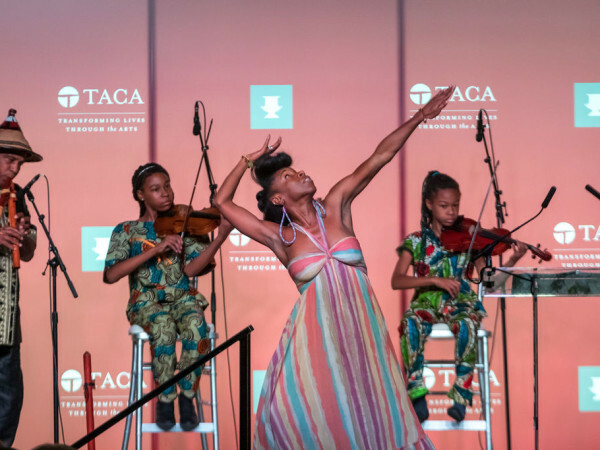 The beauty of this unique party? 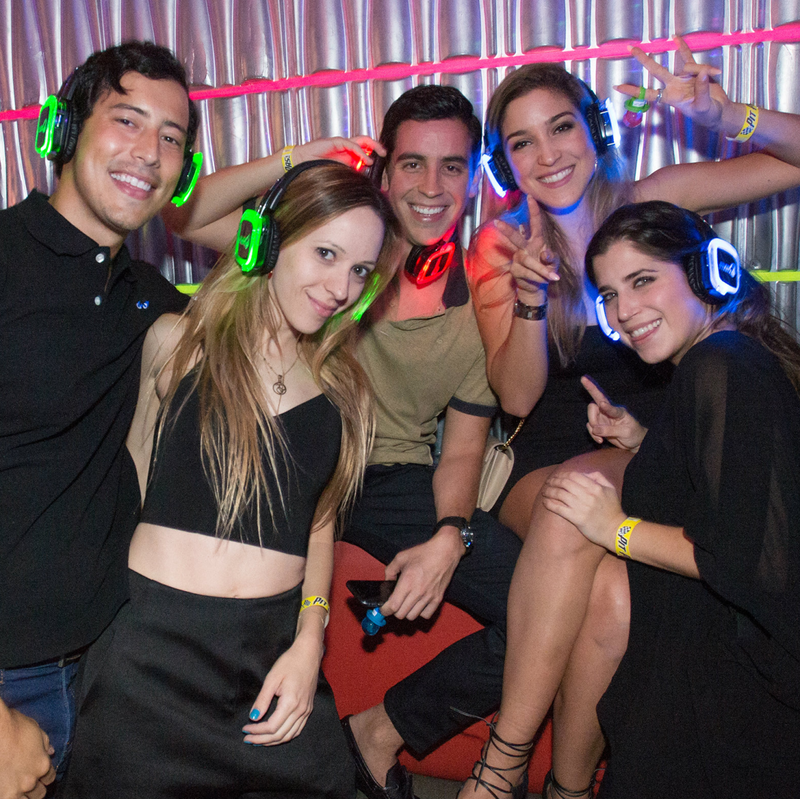 No headphones, no music. 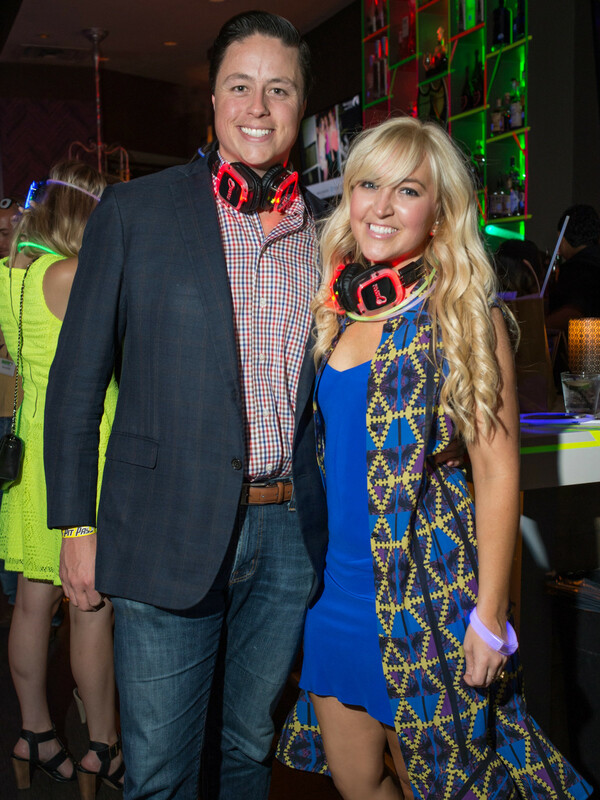 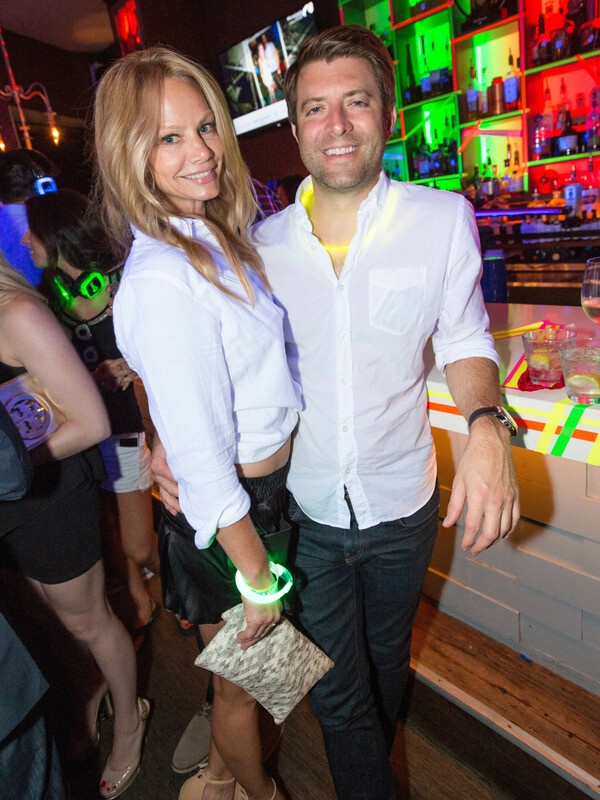 Attendees — including Vodi Cook, Laura Reeder, Blake Apel, Chad Goldstein, Mandy Widom and Lauren Mason — also had a chance to purchase a neon gift bag to help amplify their party experience, featuring a necklace, bracelet, cup, and glasses. 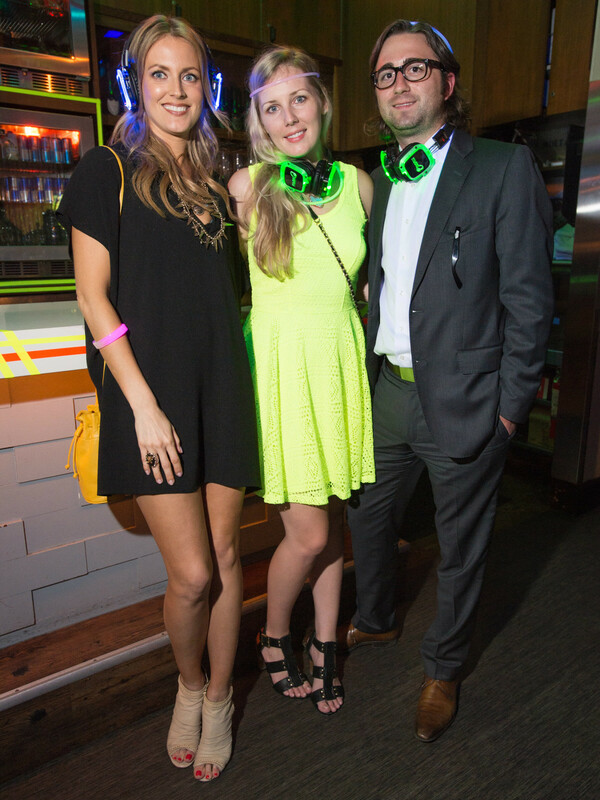 These goodies all glowed in the dark of course, and the fluorescent lights and neon-colored tape that decorated the venue made sure everyone who bought a bag stood out with their swag. 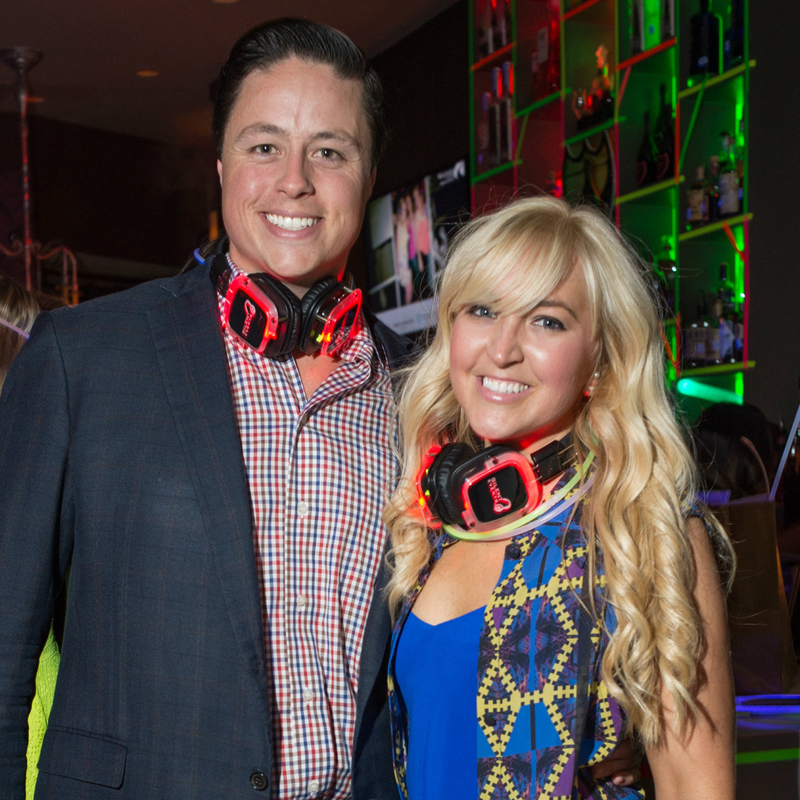 The music-fueled rager rarely yielded a moment to do anything besides dance, however these multi-taskers also found a way to snap pics in the Keopix photo booth, bid on the more than 10 lust-worthy auction items, and even grab a bite from The Butcher's Son food truck. 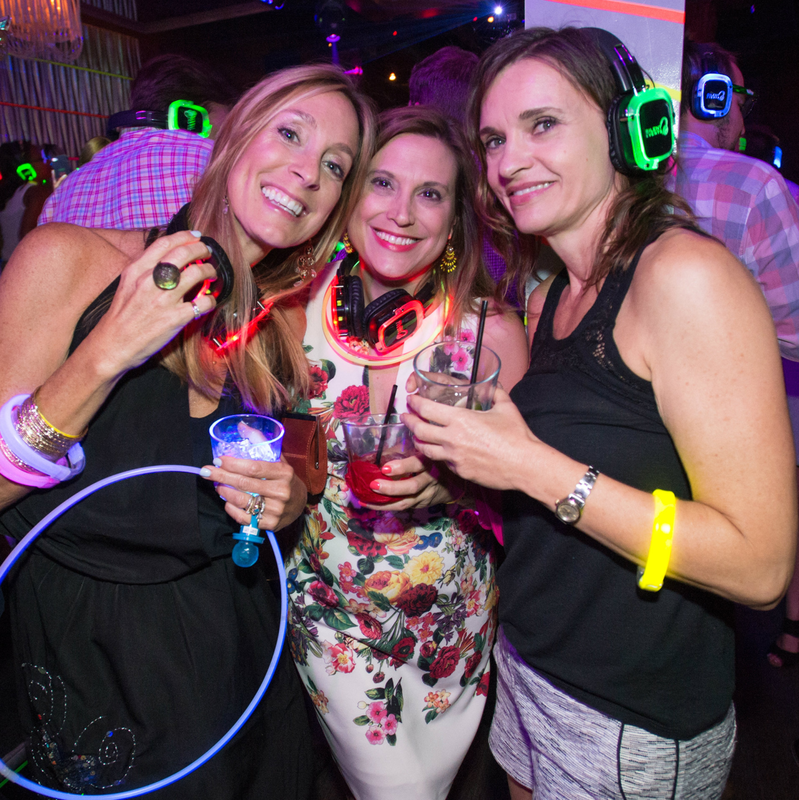 The Young Friends of Wilkinson Center hosts events like Silent Disco to serve the Wilkinson's Center's mission of being a leading poverty rescue and prevention agency for the working poor in East and Southeast Dallas. 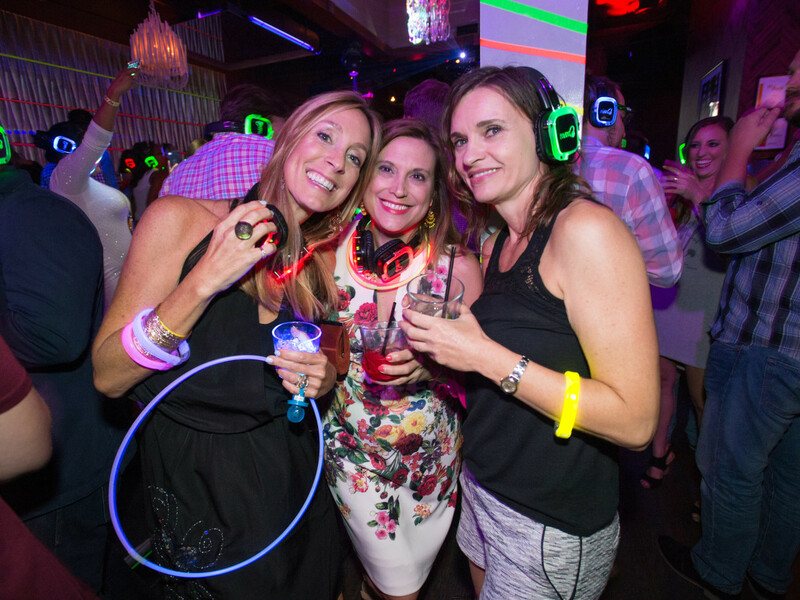 And although official numbers have yet to roll in, we are told that the group doubled their revenue from last year's event.